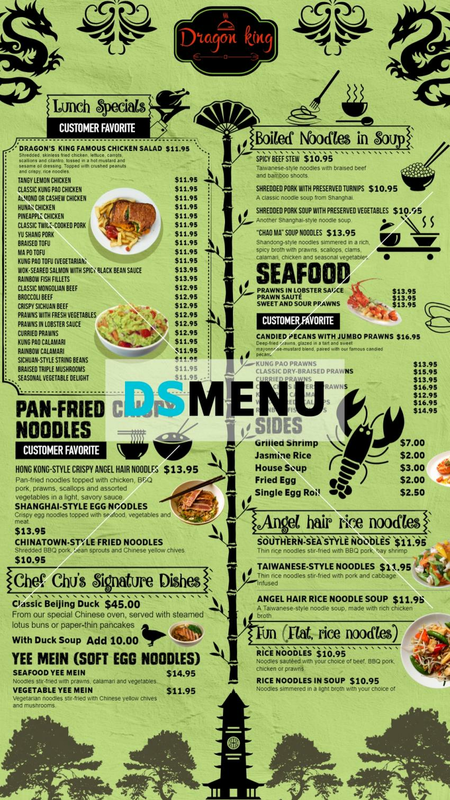 This vertical Chinese menu board truly presents an ethnic setting. The unique shade of green color background together with black typeface and multi color graphics make this a memorable menu board. The Chinese feel and ambiance are clearly manifested. On a digital platform this feel will allure all Chinese food loving customers.